At the tech and sound check of Bacardi event, Neha having green tea. 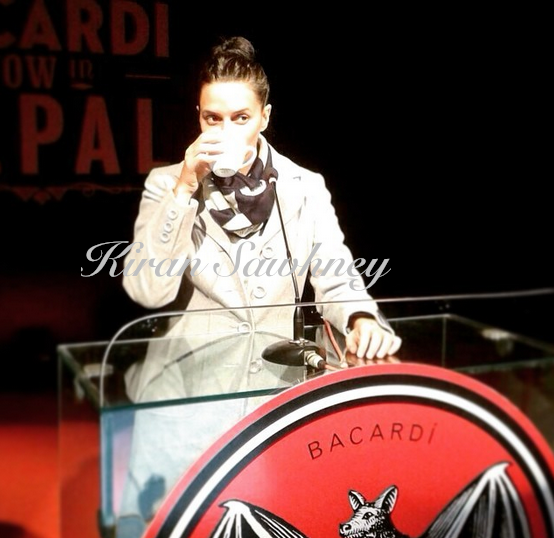 Neha Dhupia was in Nepal to attend and host an event for Bacardi. The actress wore a pink strapless tiered BCBG Max Azria gown. 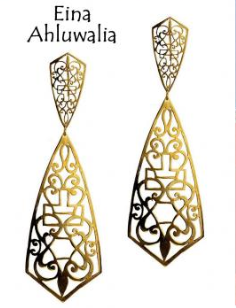 She accessorized her look with a gorgeous pair of intricately made earrings by Eina Ahluwalia. Notice that during the course of the event, she shifted her triple ring from left hand to the right. We love the color of the gown. The makeup is a bit of downer and could have been more upbeat. She looked good.